I remember when I was stationed in Wolfenbüttel I used to drive to Oldenburg now and then with our armourer to hand in illegal weapons,can't remember the recieving Units name.It used to be quite funny as every time the static water ponds were emptied then weapons were found which squaddies hd d found too hot to hold.Even funnier was the winter when I checked the box with the snow chains in the back of my truck and found a FULLY LOADED LUGER underneath the chains!!! 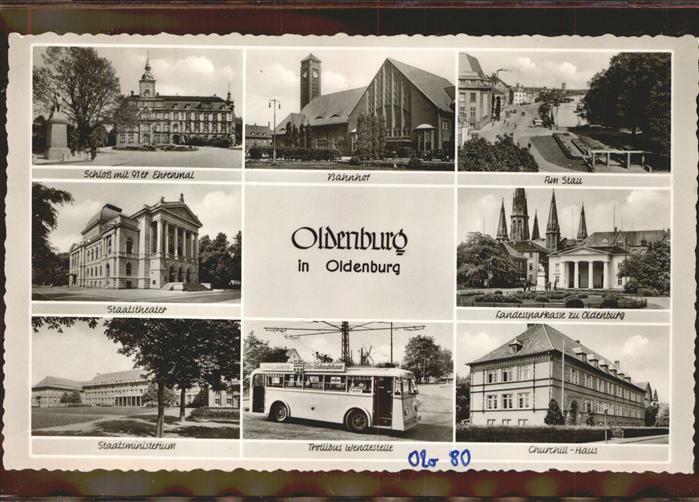 What can you tell us about Oldenburg, or your other post about 23 Fire Command? Princess Elizabeth Field, he was based there in 1948/1949, it was an airfield as it was used to store all the war tanks buses jeeps lorrys etc for selling to the highest bidder at cessation of war?? at Brockzetel (an underground bunker of NATO) about 60 to 70kms out west near Aurich? Time spent with 23 Fire Command Unit at Delmenhorst , one of those dodgy units that no one owned and we were dumped around different camps but it was our main base!! I think its purpose was a a forerunner to battery control for the Guns? Can you remember who your brother was with in 48/49? Hi Paul, my brother was with REME driving Matadors with Queen Mary trailers they were picking up wrecks etc for sale as scrap, he did 3 years NS. Never mind, it was worth a shot. 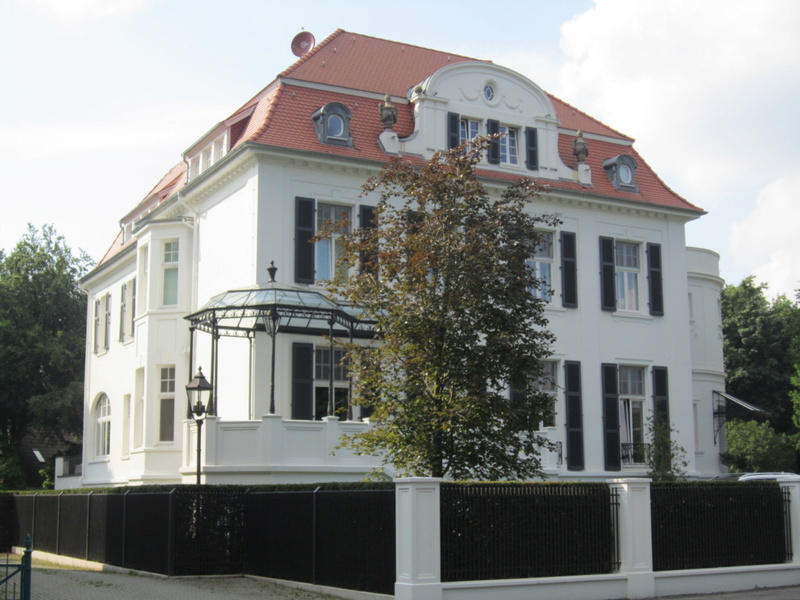 What was the name of the barracks 35 were initially based in Oldenburg? I am trying to find some photos of Keith Baldwin in 44HAA who was stationed at Oldenburg 1955 to 1957. Any assistance would be greatly appreciated. German Teaching Fellow at the University of Birmingham, Dr. John Goodyear, is searching for soldiers’ stories on the Globe theatre in Oldenburg to unlock the mysteries of one of the last remaining Forces’ theatre in Germany. Volunteers from the charitable Globe Cinema and Theatre Trust have raised 280,000 euros and are set to buy the abandoned building to restore it to its former glory. As part of the restoration process, John Goodyear is writing the Anglo-German cultural story of Oldenburg’s Globe. It is his hope that the publication will act as a blueprint for its future use. The research project has also featured in the Express and Star in Wolverhampton, on both British Forces Broadcasting Service TV, expat radio as well as the university’s website. More from the Globe Oldenburg - 2018 - they boughtbthe building back for 250,000 pounds! This time last year, in January 2018, I started my Anglo-German research project into the Globe Cinema in Oldenburg, Germany. Now one year into the project, I am writing to you as you showed interest as former army service personnel, as leading authorities on Anglo-German military history, as eye and ear witnesses to the work of the Army Kinema Corporation (A.K.C. 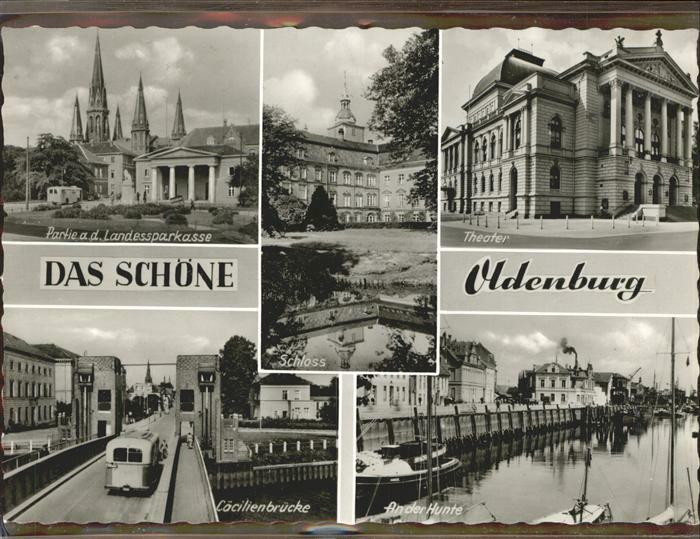 ), not just in Oldenburg, but further afield. Here is an update on my progress and on the progress of the rescue of the Oldenburg Globe. The Globe Cinema and Theatre Trust, known as the Globe Kulturgenossenschaft, was established at the end of 2016 to rescue, renovate and restore the Globe Cinema and Theatre to its old glory. In June 2017, enough money was raised to buy the building so that the building works are now underway. It is expected that the Globe cinema, now a German national listed building, will open in the autumn of next year, subject, of course, to the timely building works. Part of that renovation work, as many of you know, is for me to write the story of the Globe during the British occupation of Oldenburg. Many of you have been so forthcoming with information and photos. For those former service personnel who I have got around to interviewing, let me thank you for your time. Some of the interviews are on the Globe website and can be found here. I will be speaking to further former service personnel in January and in the coming months. To research the cultural history of the Globe, archival work has taken me to the National Archives in Kew in London, the John Rylands Library in Manchester, the Cadbury Archive in Birmingham, the British Library in London, the film archive at the University of East Anglia as well as the Militärarchiv in Freiburg, the Bundesarchiv in Koblenz, the Staats- and Stadtarchiv in Oldenburg. I have amassed around 7000 documents pertaining to the Globe in Oldenburg. I would like to thank librarians and archivists on my travels who have helped me a lot in this worthwhile endeavour. I am pleased to say that I am having talks with a local publisher to get the book published. It makes logical sense to have it published in Oldenburg, the location of what is one of Germany’s last remaining, intact British military cinemas. I am expecting to start the writing process in September of this year after trips to Canada to check out archival collections across the Atlantic. Over the past year, the support of the media has been very positive, most notably the piece in the Daily Telegraph by Justin Huggler, the Forces TV piece by Rob Olver and the newspaper article in the Express and Star by Heather Large as well as on the German side, a number of articles in the local Nordwestzeitung, the Fokus magazine and closer to home, the University of Birmingham. There was also my own radio report for Expat radio. If you are interested in sharing your stories about the Globe in Oldenburg or more broadly about the A.K.C., then please feel free to get in contact with me at this address. I am happy to receive more insights, photos and anecdotes. There is also an opportunity to help with the fundraising by visiting the Globe website here. Let me thank you all for your support in my Anglo-German research project, one that I am doing voluntarily to advance the important cause of Anglo-German relations. I wish you all a very Happy New Year 2019. P.S. Of course, you (me) can "steal" links to the pictures to add to the BFG Locations Site to awaken your Canadian contributors. Private photo: + name of serviceman. All of the PDFs on the Globe website have the photos of the servicemen after the transcript so you will know which photo belongs to whom. I have tracked down 25 servicemen and intend to repeat the process and supply the Globe with this information. I only have until August and then my time in Birmingham comes to an end. 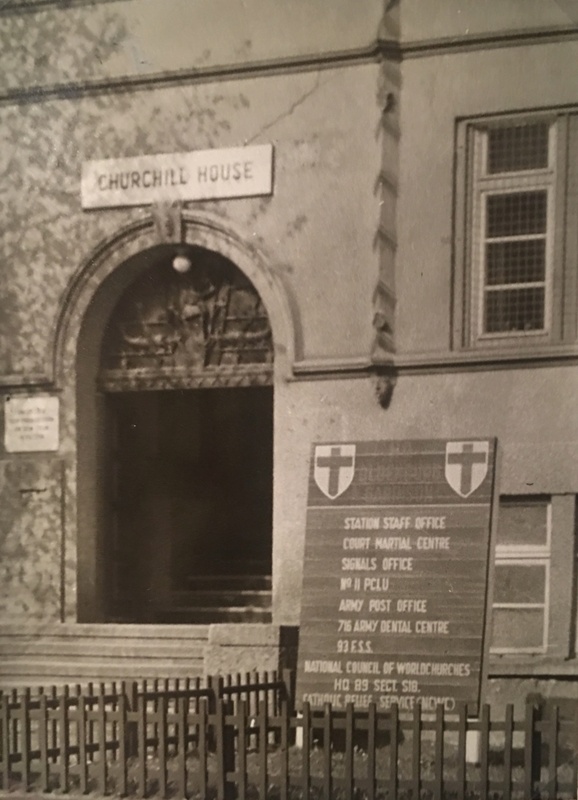 Churchill House in down town -any stories to tell?